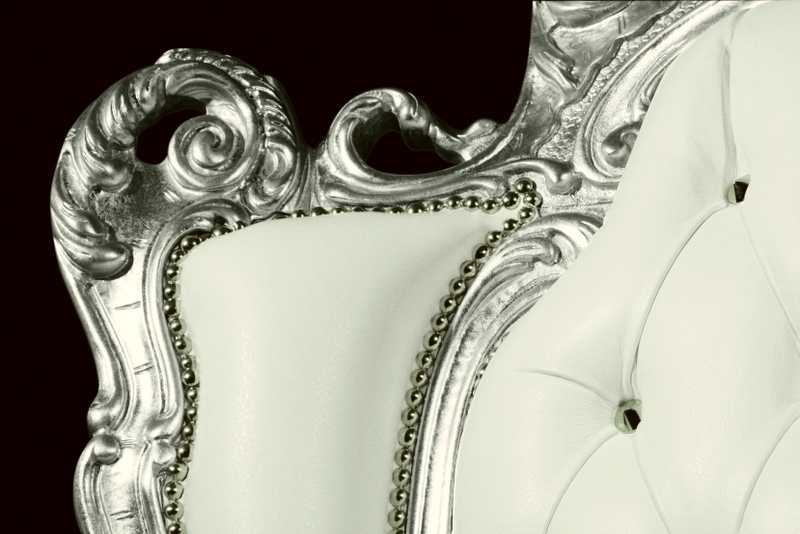 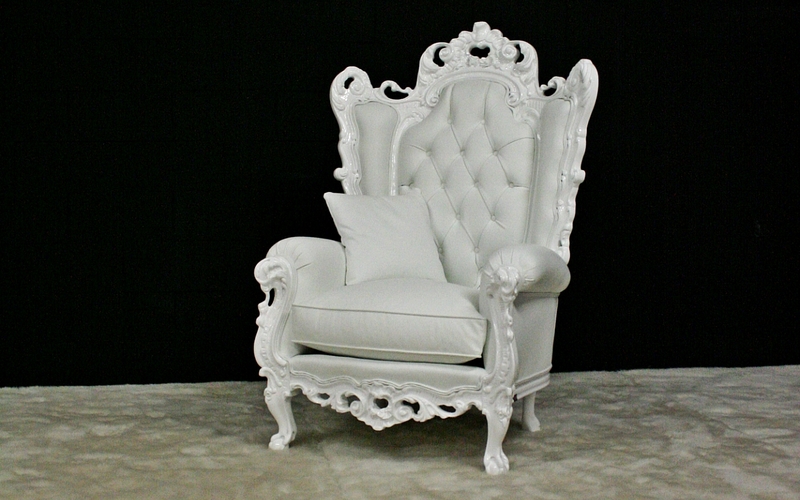 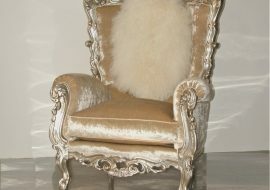 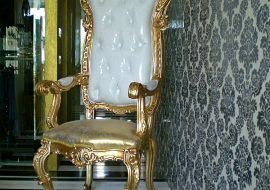 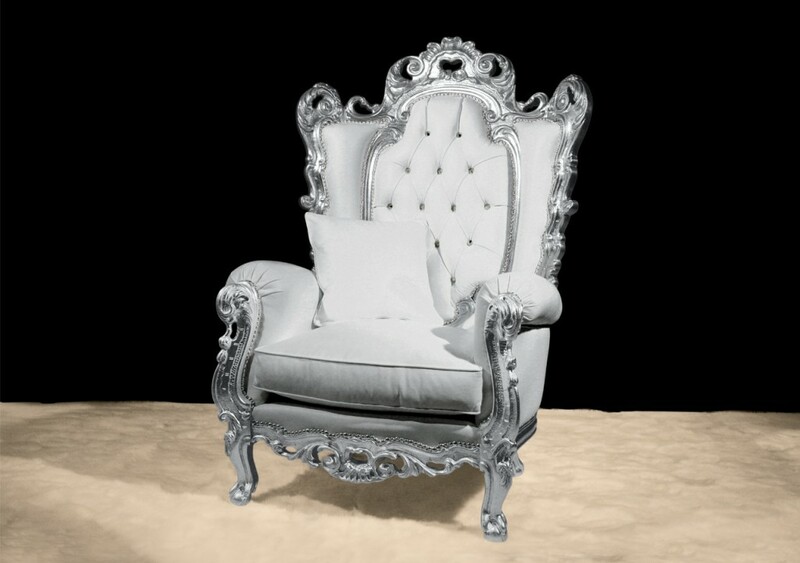 Casanova: Bespoke Luxury New baroque Throne in carved wood completely handicraftsmade in Italy by Orsitalia. 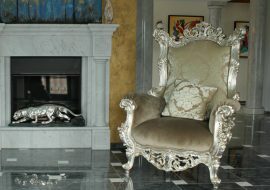 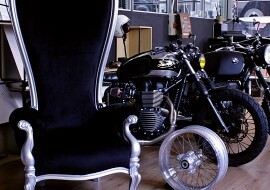 Orsiitalia produces Casanova big armchairs with high backrest and big ears also with low backrest. 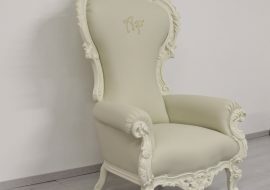 The medaillon of Casanova luxury armchair is upholstered by Orsi Italia with a fabric or leather different from the structure, even quilted, to enhance its beauty. 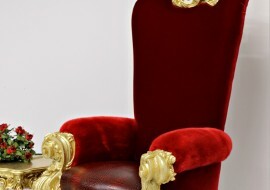 The Orsitalia company has the ability and experience to play with contrasting colors or even tone on tone, mixing together different textiles and colors.Throne with medaillon model Casanova is completely hand manufactured in Italy, both wood and upholstery, by skilled italian handcraftsmen of Orsiitalia. 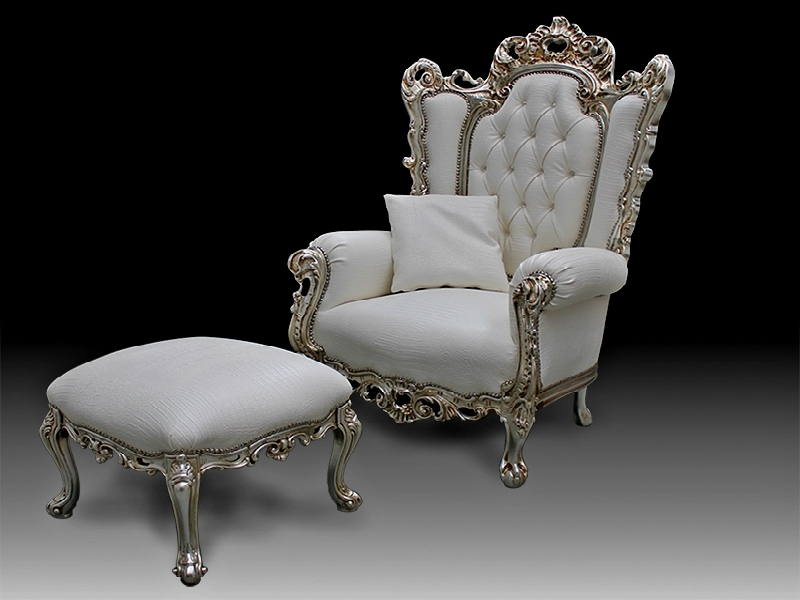 These luxury contemporary baroque armchairs with high backrest, from Orsi Italia Glam collection, can be custom and tailor-made thanks to wide range of enamels,gilting, silvering, lacquering and many kind of fabrics and colours offered by artisan company Orsitalia. 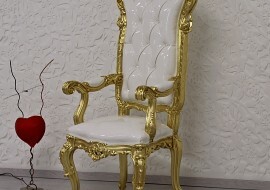 Orsitalia offers as wood finish: gold or antique gold, silver or antique silver, cupper, vintage silver leaf, walnut, mahagony, sherry, wenghè polishing, white or white antique lacquering with gold or silver decorations. 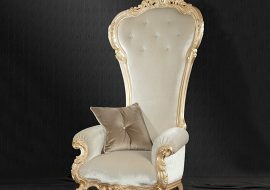 Glossy enamel in all fashion colours and also white shabby chic wood.